Karma is a striking modern rugs collection that features great vintage designs. Its main attribute is a high quality dense pile that is soft to the touch; it also features a multi-level pile height, which gives each rug a prominent three dimensional effect. 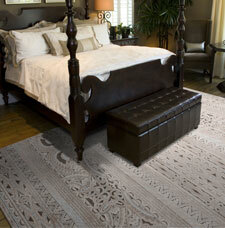 Each Karma rug is colourfast, anti-static and easy to maintain as the yarns repel dirt.